Barry Sheene’s 1985 RAC British Saloon Car Championship Group A Toyota Supra is up for auction at the Silverstone Classic Race Car Sale. The much-loved motorcycle world champion was a regular top six finisher in the car at BTCC races with podium places at Thruxton and Silverstone. Offered for sale by Silverstone Auctions on 27th July with an estimate of between £60,000 and £80,000. 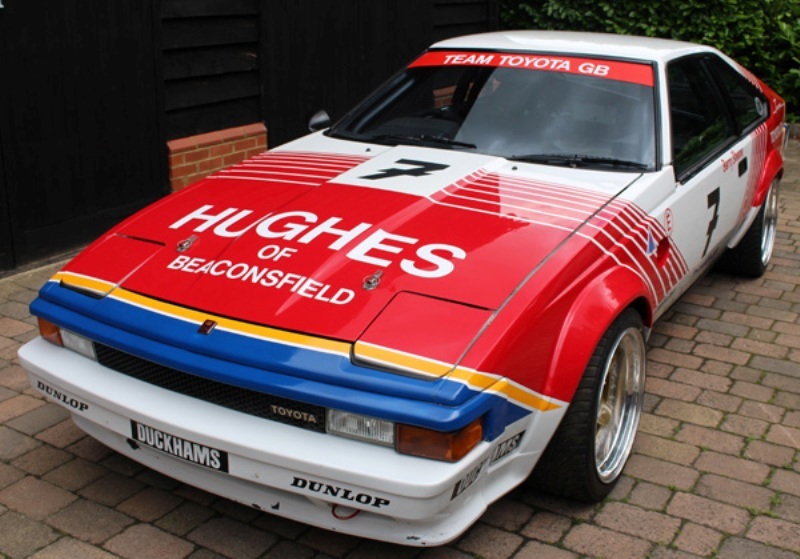 An ex-works Toyota Supra Group A racing car, driven by the much-loved motorcycle double world champion Barry Sheene in the 1985 Trimoco RAC British Saloon Car Championship, comes up for auction at Silverstone Auctions’ Silverstone Classic Race Car Sale on 27th July. Since its acquisition by the current vendor in 2012, the Group A Supra has undergone a thorough restoration including major overhauls of the suspension, braking system, clutch, and fuel system. 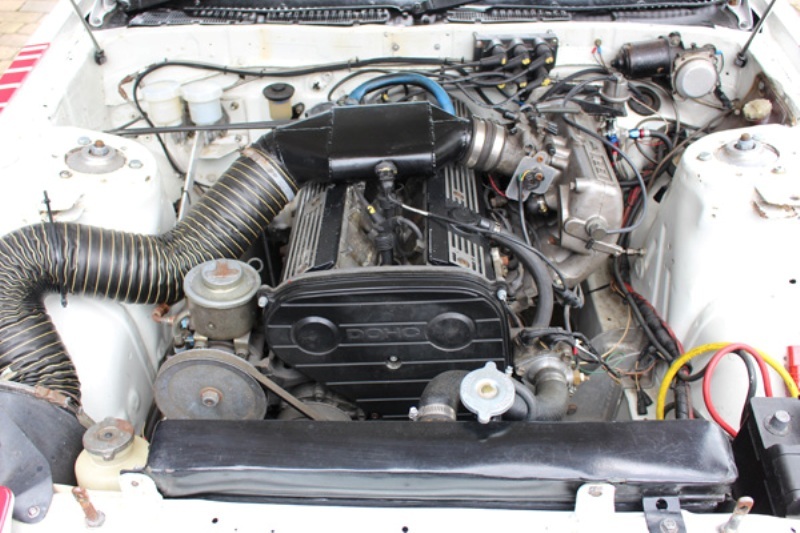 It’s fitted with a close-ratio 5-speed gearbox in its original casing, and a 204bhp engine using DTA mapped injection which has been dyno tested by renowned engine builder, Ric Wood. 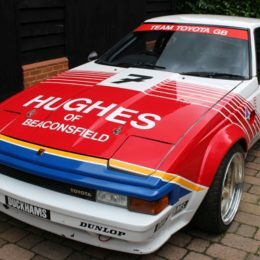 The car has also been validated by 1985 Team Toyota GB/Hughes of Beaconsfield team manager Gordon Mayers, and last year it was invited to Goodwood Festival of Speed as part of a Barry Sheene tribute. The Supra goes under the hammer on 27th July with an estimate of between £60,000 and £80,000 at the Silverstone Auctions Race Car Sale which forms part of the world’s biggest classic motor racing festival, the Silverstone Classic, where over 100,000 visitors are expected. A familiar sight on TV and in the press in the seventies and eighties, Sheene retired from motorcycle racing in 1984 after winning the 500cc World Championship in 1976 and 1977. Dubbed ‘The Meccano Man’ when doctors pieced together his broken body with nuts and bolts after a series of crashes, Sheene swapped two wheels for four to join Team Toyota GB to drive the Hughes of Beaconsfield works Supra in the 1985 British Saloon Car Championship, now known as the British Touring Car Championship (BTCC). Races at the time were televised and while Barry Sheene’s celebrity status helped, it was his skill behind the wheel that won him the highly paid works drive and in initial tests at Goodwood he was only 0.4s off the lap time set by outgoing works Toyota driver, legendary racer Win Percy. That early optimism was validated with fifth place at the opening round at Silverstone, and a third at Thruxton. However, Sheene was involved in a six car smash later at Thruxton and left with a broken ankle and a badly damaged car. The Toyota was re-shelled and returned with Sheene at the wheel at the next round at Silverstone just two weeks later where he achieved an impressive third overall. Sheene went on to complete the rest of the season finishing consistently in the top six in the very Toyota Supra which is being offered at the Silverstone Classic Race Sale. Sheene retired from racing shortly after his touring car adventure and moved to Australia to work as a TV commentator and property developer, where he sadly passed away in 2003 after at battle with cancer. Included with this lot is a wide range of used and new spares including differentials, strut inserts, suspension springs, suspension arms, subframe, manual steering rack, driveshafts, propshaft, brake discs, clutch plates, an assembled bottom end, head castings, race cams, Group A airbox, and various engine parts. 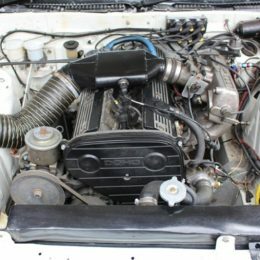 To find out more about the ex-Barry Sheene Toyota Supra Group A Touring Car and the Silverstone Auctions Classic Race Car Sale please visit: https://www.silverstoneauctions.com/toyota-supra-group-a. The company holds the exclusive automotive auction rights for Silverstone circuit and host sales as stand-alone events as well as an integrated element of some of Europe’s biggest motorsport events such as the Silverstone Classic Festival.